It always amazes me when I can’t find someone LinkedIn. As the world’s largest professional social media network, LinkedIn is your opportunity to introduce yourself to the professional world – and be found — for free! And if you engage with others on LinkedIn, you are likely to find new opportunities not possible from traditional networking. But there are still those who are not joining to the party. Some have already “arrived” in their careers and don’t think they need it. Others contend they just do not have the time. My word to them is this: Unless you plan to become a monk or plan to retire with unlimited financial security, you need LinkedIn. We live in uncertain economic times. Staying connected opens up opportunities open, which will only grow in importance. Unless you plan to become a monk or plan to retire with unlimited financial security, you need LinkedIn. I am a fan of LinkedIn because it enables me to meet goals I could have never met had I depended on traditional networking and marketing approaches. 1) LinkedIn is a great equalizer for professionals. Traditional networking does not work for everyone. Often, people are focused on meeting “the right people” based on their title or reputation and miss the up-and-comers or those with talents not apparent in a crowded room of dark suits. LinkedIn, however, equalizes the playing field. People are looking for more for talent, not necessarily titles. LinkedIn allows everyone from Jack Welch to the part-time sole proprietor to showcase what he or she can do. It also provides the opportunity to search deliberately for the talent you need. Try that over cocktails and awkward conversations! In fact, LinkedIn’s degrees of separation might just help you discover that a former colleague can introduce you to the former General Electric revolutionary! 2) LinkedIn Makes Intelligence Gathering Easier. Those of you born before the Clinton administration might not appreciate just how much professionals depended on word of mouth! When I began my career in communications, I would contact someone I knew, ask them whom they knew and maybe I would get a job lead or the right source for an article. I spent a lot of time on the phone and attending meetings. Then search engines came online and gradually, it became easier to learn about someone by Googling their names. But that did not always cut it because often the available information wasn’t useful. You can learn much more about someone and whom they know via LinkedIn. 4) LinkedIn is like an electronic Rolodex, reducing the time it takes to build address books. With LinkedIn, I can contact virtually everyone I know professionally. Last year, when I needed to announce my marriage and name change, I was able to contact 50 people contacts at a time through LinkedIn messaging. LinkedIn also offers an app just for obtaining your contacts on your mobile device. 5) LinkedIn Keeps You Top of Mind. Broadcasting messages is no longer the sole domain of public relations professionals. Want to stay top of mind by sharing an idea, company news, a useful article or blog? Go for it! 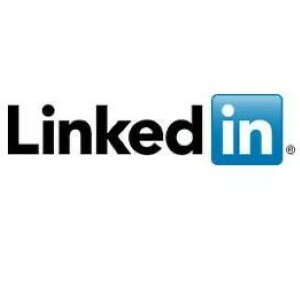 If you have not yet taken advantage of LinkedIn, set up an appointment on your calendar to get connected. You can thank me later. Quality content is an investment. It requires expertise, experience and research. Whether writing it yourself or paying a writer, you might as well get the most from it. What is re-purposing content? Re-purposing is creatively reusing quality content you already have. Sounds easy, but it does require good organizational skills so you can harvest it for other purposes. To re-purpose content, review the pre-existing written material. Make files however you wish – such as by subject, market, product, service or customer profile. As you go through the content, copy and paste material into the appropriate file buckets. The fun part of this exercise is finding inconsistencies in messaging or information. It is only natural that as material gets added to websites, opportunities to “re-purpose” it are often missed. Part of this relates to a company’s internal marketing and communications departments, plans and strategies. To the world, your company’s website is one cohesive entity. Behind the website, tasks are often divided up with poor communication between workers and functions caught in their individual silos. That’s why it is so easy to run a blog about a topic, list it in the blog section and forget to cross-pollinate the material in other sections of the website. Excellent public relations and marketing professionals treat content as a commodity and try to maximize its use. Do not forget to look at documents that never go online. Business and marketing plans should have some good stuff, especially if a professional writer crafted the plans to be reader friendly. Company research and reports also provide good written material to be re-used more broadly. Personalized marketing letters tend to have more relaxed language or explanations that would work well in other places. Once your information is placed in the file buckets, determine how you want to reuse it. To be systematic about it, keep a list of all the venues you use to reach all your customers. Your list will include traditional material — like brochures and associated web text, the company newsletter and thought pieces and your company’s social media presence on LinkedIn (including appropriate groups), Twitter, Facebook and all the other ways you reach your market. Don’t forget to include other customers such as the media, vendors and others who use your site. If the mere thought of this burns you out, hire an outsider to do the work for you. Someone outside your organization can see your material more objectively. Another way to re-purpose is to make it part of the writing/editing process. Since writing is a creative process, it can help generate new ideas. Let’s say you are writing about an issue that relates to the product or service you are selling. As you do, consider places to publish it. After it is edited, copy the material placed elsewhere on the website and/or in the file system I suggested above. If you want to track the content’s original origin, just color the copy according to where it originally came from. Encourage content providers not to write in a vacuum. Ask them to suggest other applications for the text. They could find and polish the quick hits or short content that can stand on its own. These can be re-used immediately on Twitter, always including the link to the material. Programs like TweetDeck will publish each tweet at the time you want the tweet to get posted. If your material comes from a longer piece, such as an article, monograph or white paper, copy and paste material that can be greatly shortened for re-publishing as blogs or in newsletters. Don’t forget the stuff on the cutting room floor. That’s the material you wrote that is more useful through another venue. Just add it to your filing system. Challenge yourself to think of re-purposing beyond replicating materials in different communication venues. By writing and reviewing all material for re-usefulness, your quality content investment could pay dividends in surprising ways. 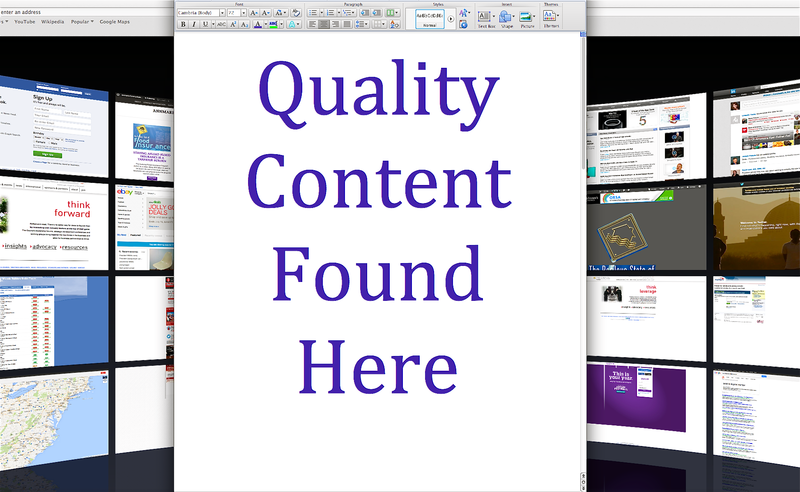 Re-purposing quality content can be a painstaking effort. You will be rewarded with endless new ideas for more quality content, blogs and cross-marketing potential. Give re-purposing a try and let me know how you are doing!